Laura Wilson. 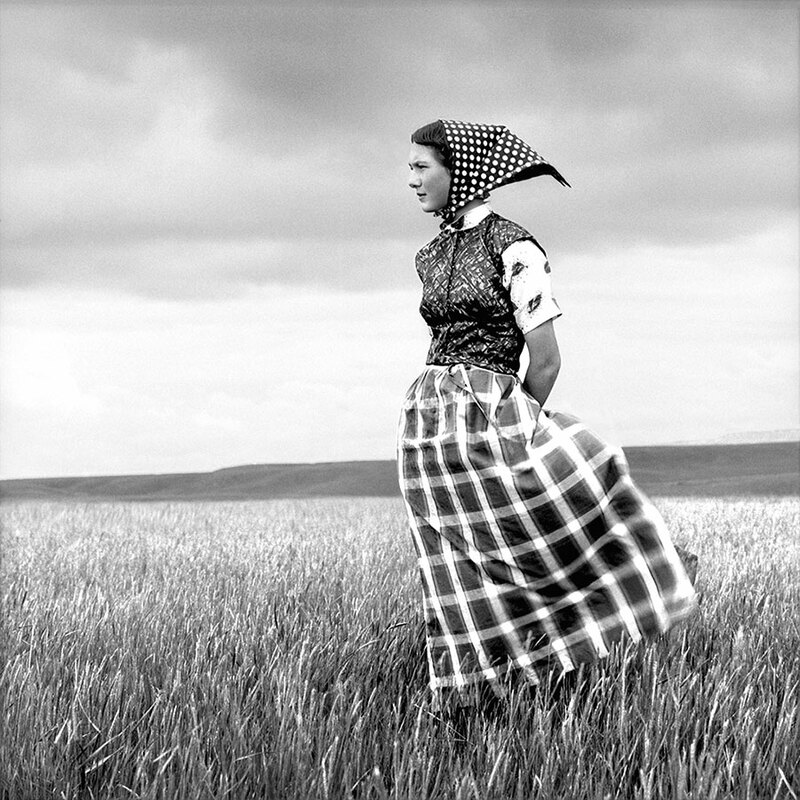 “Emma, Hutterite Girl in Field, Duncan Ranch Colony Harlowton, Montana, June 17, 1994.” Archival pigment print, 46 x 46 in. Private Collection. Laura Wilson, renowned photographer and author whose work has been featured in the New Yorker, Vanity Fair, and London’s Sunday Times, began photographing the American West in the 1970s. The region captivates her still. Wilson’s work was the focus of a special exhibition at the Buffalo Bill Center of the West. That Day: Pictures in the American West ran from March 11 – August 13, 2017, in the Center’s John Bunker Sands Gallery. The exhibition, organized by the artist in collaboration with the Amon Carter Museum of American Art in Fort Worth, Texas, presents Wilson’s photographs of the American West taken over the course of three decades. From her home in Texas, Wilson set out across the state to photograph cattle ranches, the U.S.-Mexico border region, and rural communities. She frequented rodeo arenas, witnessed parades and preachers’ sermons, and stood sideline at six-man football games. She traveled to remote corners of the West—to a naval air station in Nevada, the Pine Ridge Indian Reservation in South Dakota, and Hutterite colonies in Montana. Camera in hand, Wilson sought images of daily life beyond the suburban and urban sprawl and composed a broader and unique vision of the modern West. Laura Wilson. 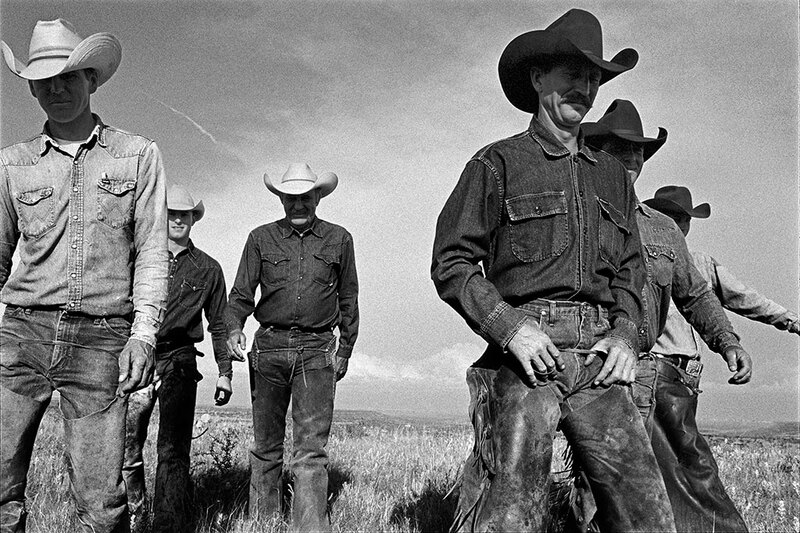 “Cowboys Walking, J.R. Green Cattle Company Shackelford County, Texas, May 13, 1997.” Gelatin silver print, 44 x 66 in. Private Collection. Collectively, the more than eighty large-scale images are a portrait of a region and its diverse residents. Through Wilson’s lens, the West as we have come to know it through literature, artwork, and film includes both familiar and extraordinary characters and cultures. McWhorter notes, “Wilson’s portraits run the gamut, picturing outsiders and rebels, holdouts to history and visionaries, enforcers of the laws and those who break them or…defiantly devise their own.” Working cowboys who seem to have leaped from the silver screen share space with gritty scenes of vicious dog fights. Brawny Texas Rangers are countered by debutantes in hundred-pound ball gowns. Wilson’s West is not easily defined—it’s paradoxical and complex—and its residents are anything but one-dimensional. Her photographs suggest that some traditional elements of life in the West continue to thrive in its wide-open spaces, but also that this expansive region tolerates the coexistence of an astonishing range of lifestyles and customs. Laura Wilson. 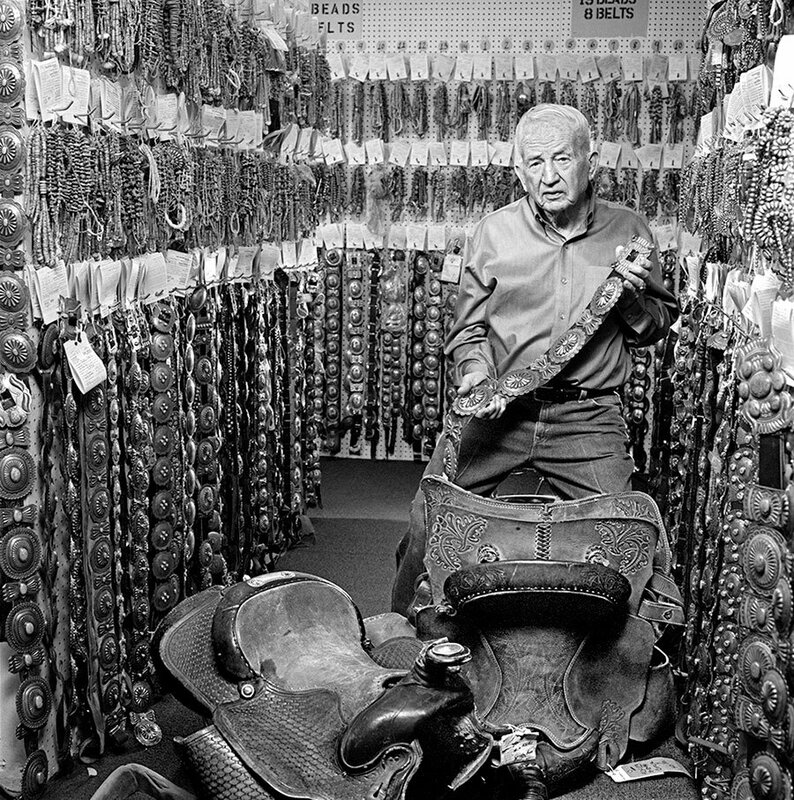 “Bill Richardson, American Indian Trader, Richardson’s Trading Company, Gallup, New Mexico, January 14, 2008.” Gelatin silver print, 28 x 28 in. Private Collection. The exhibition includes photographs that grapple with difficult subjects—dogfighting, cockfighting, border-related violence—that are not always easy to look at. “This is important,” says McWhorter. 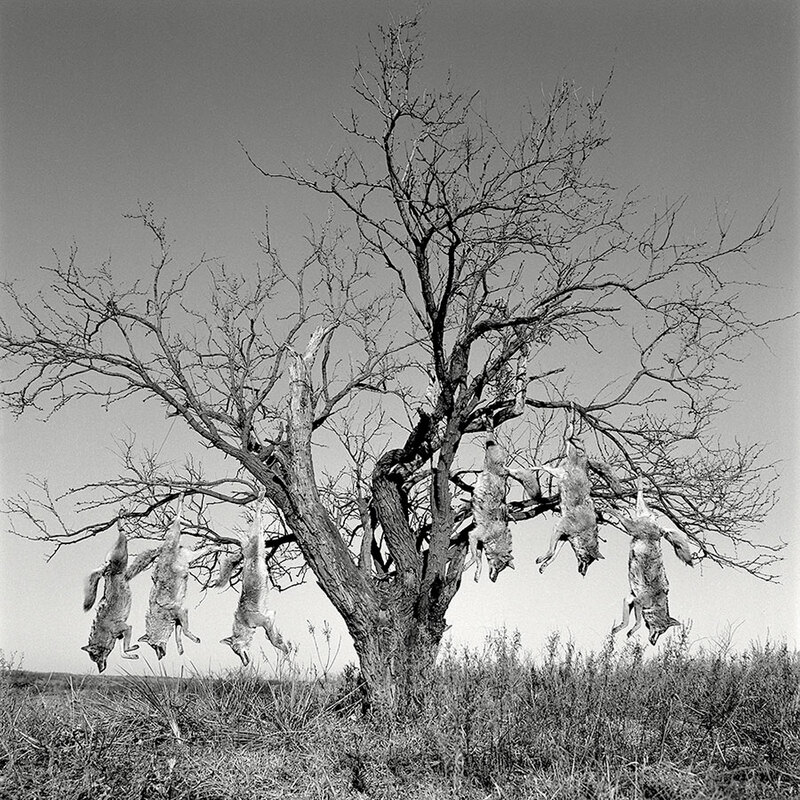 “It’s stimulating and requires our full attention, and allows us at the Center of the West to broach conversations about what the West looks like in the 21st century.” But, she continues, “Others of Wilson’s images are arrestingly beautiful.” McWhorter is particularly drawn to those of Hutterite men, women, and children in Montana. The book that accompanies the exhibition and the labels throughout it include the photographer’s personal reflections on her subjects and offer insight into her days spent in the West, from trading posts to artists’ enclaves. With friendly familiarity and a storyteller’s cadence, Wilson bears witness to everyday interactions and exceptional events. That Day: Pictures in the American West closed August 13 at the Buffalo Bill Center of the West. For more information, contact Karen McWhorter at [email protected] or 307-578-4053. Laura Wilson. 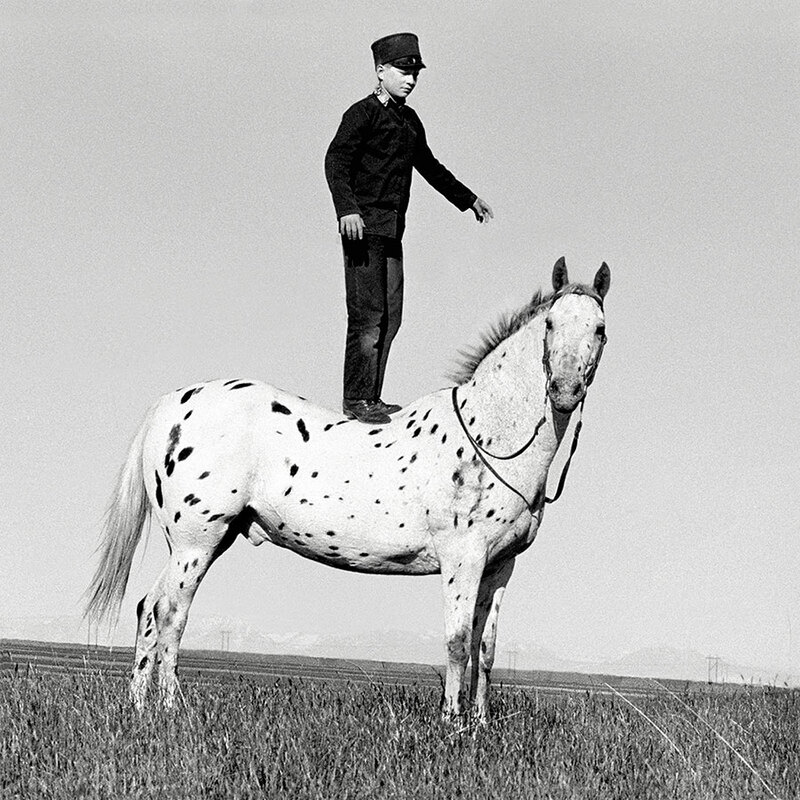 “Hutterite Boy on Appaloosa, Golden Valley Colony, Ryegate, Montana, June 15, 1993.” Archival pigment print, 46 x 46 in. Private Collection. Laura Wilson. 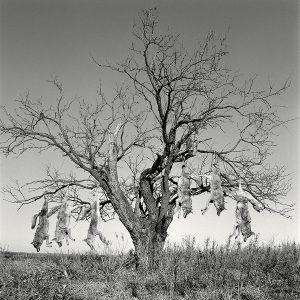 “Mesquite Tree with Coyotes, Lambshead Ranch, Albany, Texas, January 9, 1988.” Archival pigment print, 46 x 46 in. Private Collection.